The Aeromonadales are an order of Proteobacteria, with 10 genera in two families. The species are anaerobic. The cells are rod-shaped. Some species of this order are motile by a single polar flagellum; others are not motile. Parvularcula bermudensis is a marine bacterium which was identified in 2003 in the western Sargasso Sea in the Atlantic Ocean. It forms a deep branch in the Alpha Proteobacteria, distinct from the other orders. The Piscirickettsiaceae are a family of Proteobacteria. All species are aerobes found in water. The species Piscirickettsia salmonis is a fish pathogen and causes piscirickettsiosis in salmonid fishes. It lives in cells of infected hosts and cannot be cultured on artificial media. Piscirickettsia salmonis is nonmotile, whereas the other five genera are motile by using a single flagellum. The Colwelliaceae are a family of Proteobacteria. This family consists of facultative anaerobes and has non-motile and motile members. 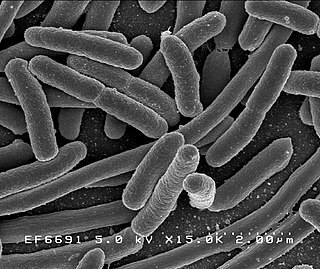 Marinobacterium is a genus of Proteobacteria found in sea water. The cells are rod-shaped and are motile by using one polar flagellum. Comamonas is a genus of Proteobacteria . Like all Proteobacteria, they are Gram-negative bacteria. Comamonas species are aerobic organisms and motile using bipolar or polar tufts of one to five ﬂagella. The Oceanimonas are a genus of marine Proteobacteria. They are, like all Proteobacteria, gram-negative. The rod-shaped, motile organisms are aerobic and chemoorganotroph. 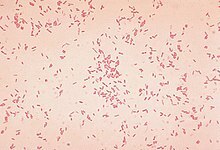 Caballeronia glathei is a Gram-negative soil bacterium. It is motile by using one polar flagellum. The bacterium is a pathogen for Asian rice. The species of the genus Aquabacterium are motile, rod-shaped, Gram-negative, oxidase-positive, catalase-negative bacteria which were isolated from drinking water biofilms in Berlin. Identified species include Aquabacterium citratiphilum, Aquabacterium parvum, and Aquabacterium commune. Three bacterial strains isolated from biofilms of the Berlin drinking water system were characterized with respect to their morphological and physiological properties and their taxonomic position. Phenotypically, the bacteria investigated were motile, Gram-negative rods, oxidase-positive and catalase-negative, and contained polyalkanoates and polyphosphate as storage polymers. They displayed a microaerophilic growth behaviour and used oxygen and nitrate as electron acceptors, but not nitrite, chlorate, sulfate, or ferric iron. The substrates metabolized included a broad range of organic acids, but no carbohydrates at all. The three species can be distinguished from each other by their substrate use, ability to hydrolyse urea and casein, cellular protein patterns, and growth on nutrient-rich media, as well as their temperature, pH, and NaCl tolerances. Phylogenetic analysis, based on 16S rRNA gene sequence comparison, revealed that the isolates are affiliated to the beta 1-subclass of Proteobacteria. The isolates constitute three new species with internal levels of DNA relatedness ranging from 44.9 to 51.3%. It is proposed that a new genus, Aquabacterium gen. nov., should be created, including Aquabacterium citratiphilum sp. nov., Aquabacterium parvum sp. nov., and Aquabacterium commune sp. nov. The type species of the new genus is Aquabacterium commune. ↑ George M. Garrity: Bergey's Manual of Systematic Bacteriology . 2. Auflage. Springer, New York, 2005, Volume 2: The Proteobacteria, Part B: The Gammaproteobacteria.